This card has +1 power for each card in your hand. 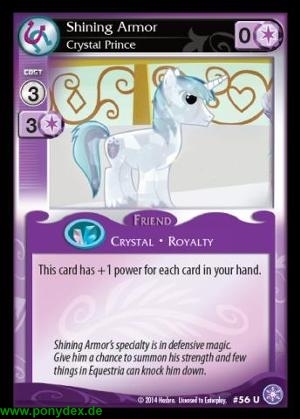 Shining Armor's specialty is in defensive magic. Give him a chance to summon his strength and few things in Equestria can knock him down.